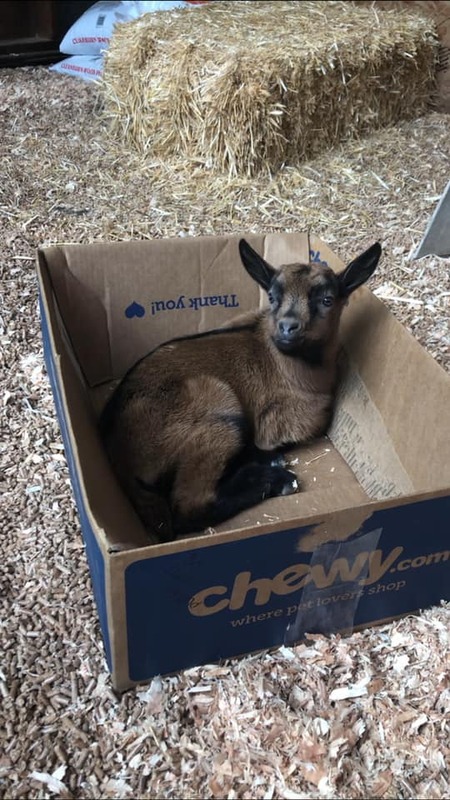 Our 2019 rescued baby season has just begun! Each year we take in dozens and dozens of baby boys (and an occasional baby girl) that are born on dairies and farms where they have no use for the boys since they do not produce milk. To insure these babies are not sent to livestock auctions or end up in the hands of meat buyers, we take them in at the rescue and bottle raise them. 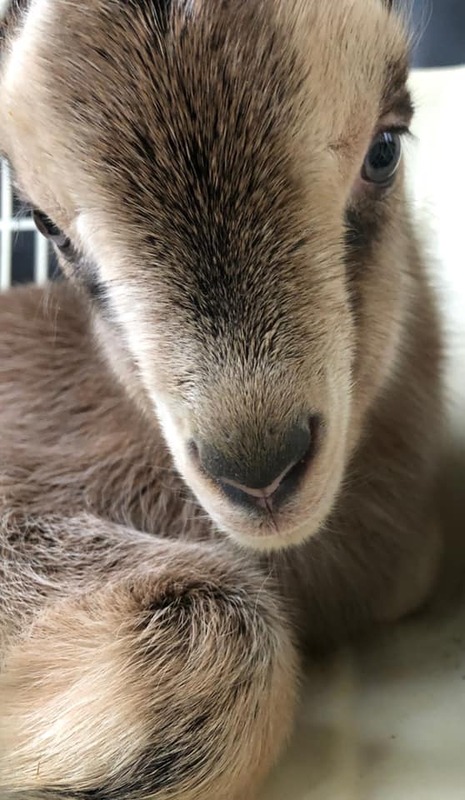 We also rescue babies born at a local slaughterhouse. Each spring and summer our farms are full of adorable rescued babies! After bottle raising them, we find them loving forever homes where they get to live the life that they deserve as cherished pets. To start the process of applying for adoption, please complete our adoption application. We will follow up with more information about our adoption requirements. If our adoption requirements are met, we will do a home check and once a home is approved for adoption, families will be invited to the rescue to meet our adoptable kids. Approved homes will be able to place a deposit on pairs of kids to hold them until they are adoption age. 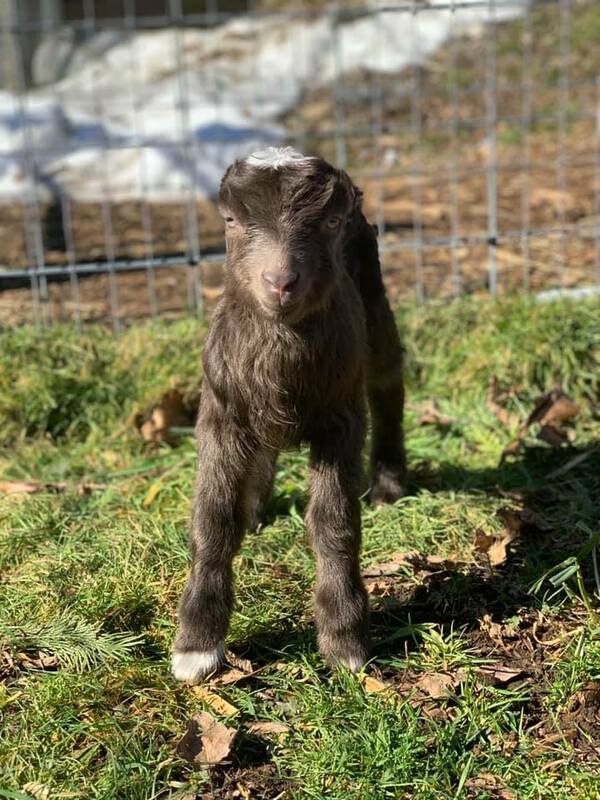 Wethers (neutered males) make such wonderful barnyard pets, don't miss out on the opportunity to add a few of these adorable little ones to your farm family this spring! This time of year, our biggest expense at the rescue is MILK. Please consider a tax deductible donation of any amount. $1, $10 or $100, each and every donation makes such an impact on the lives of these babies!